EXCELLENTCOM.net founded in 1996. We are an trader offering an extensive range of related Arcade Supplies, which means we have everything you need when building your own arcade cabinet. From Arcade Spare Parts to Original PC Board, PCB’s, Kits, Amusement Machine, Cocktail Tables, Cables, Parts, Wires, etc. We have it all under one roof – This combination offers a virtual game experience that is unbeatable! Shipping from Hong Kong, China. Happyline – Based out of Shanghai City, China. 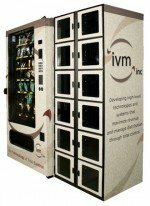 Distributors of vending machines equipment. Happyline is a specialized manufacturer of coffee and beverage vending machines. Contact Sophia Chen. Panda Vending – We are a professional supplier of kiddie rides, coin equipment and various vending machines, located in Shanghai China, with our production bases in Guangdong, Shanghai and other inland cities in Northern China and Southern China. Provending Machine Co., Ltd is a privately owned China company established in 2000. Provending is a leading China manufacturer and exporter of hot and cold beverage vending machines, snack vending, Food Vending Machines and other vending machines like condom vending machines, Popcorn Vending Machines, DVD vending machines , etc. We can also design new machines as your ideas. Provending currently exports to a large number of countries including Australia, Spain, Netherlands, Germany, Peru, Chile, Russia, etc. Shanghai Vending Machines – Shanghai Happy Workers Intelligent Technology Co., Ltd with professional standards and mature technology in the field of automation, we have been a rising star company in manufacturing the vending machines. Our main products are Coffee vending machine, Combo snack and drink vending machine, Ice cream vending machine, Frozen food vending machine, Ice bag vending machine and so on. We are the only one company that can produce Ice coffee vending machine and Frozen vending machine in China. Zhengzhou Tongchuang Electronic Co.Ltd. is a professional manufacturer of vending machines, gaming machines, condom vending machine, gumball vending machine, scales vending machine, weight and height machines. Based out of Zhengzhou, China.